Voted America’s #1 Dude Ranch by USA Today! Warmly welcoming guests since 1886, Cherokee Park Ranch is a family-owned, all-inclusive Colorado dude ranch vacation destination nestled in the beautiful Rocky Mountains in Livermore, Colorado. Join us for your next family vacation, guys’ or gals’ getaway, family reunion, grandparents’ retreat or honeymoon. We always say, “Come as stranger, leave as family,” and we promise that as a guest, Cherokee Park Ranch will forever hold a special place in your heart. In fact, 86% of our guests are returns! When we’re restless, lost or overwhelmed, sometimes all it takes is a moment in the woods, a stroll atop a gentle horse, or a night under the stars to set us right. Cherokee Park Ranch works magic on your spirit and mental health. Catch a brown trout on the North Fork of the Cache La Poudre River. You choose what type of riding you would like to do each day. Our friendly square dance caller will help you dance the night away! Pull up a chair at our table for some dude ranch dining! 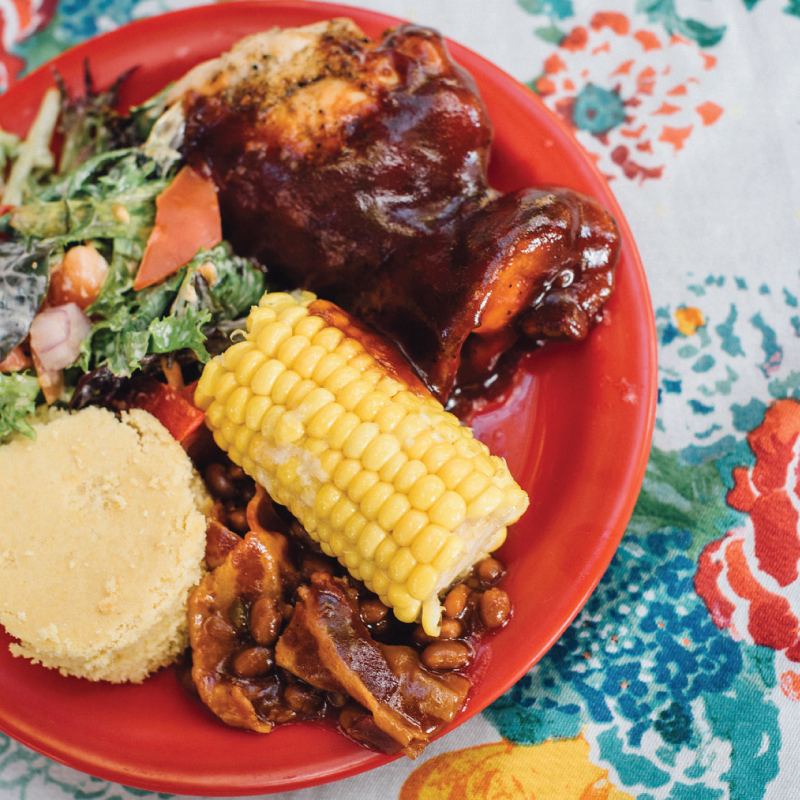 All of our meals are designed to satisfy all cowboy appetites, both hearty and light. 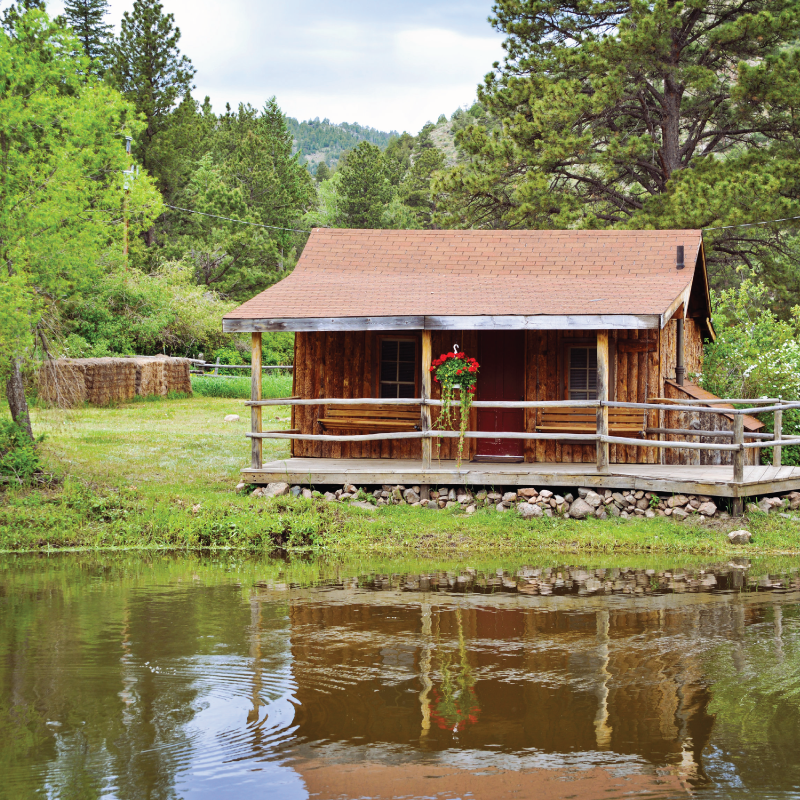 Colorado Dude Ranch vacation accommodations in Cherokee Park include our 120-year-old log lodge suites and six outlying cabins. All lodging units have porches with swings for you to sit on and relax as the river flows nearby. Elk, mule deer, coyotes, and bald eagles are just a few of the native animals you may see from your front porch. Cherokee Park Ranch is permitted to operate by the Roosevelt National Forest and Colorado Division of Wildlife. The Dude Ranchers’ Association was formed in 1926 to preserve this special way of life and the wonderful environment in which dude ranching takes place. When you vacation at a Dude Ranchers’ Association Dude Ranch, you can be sure of a quality vacation. Membership in the Association is a rigorous two year inspection and approval process, to ensure that guests are treated to genuine western hospitality combined with the lodging industry’s highest standards. 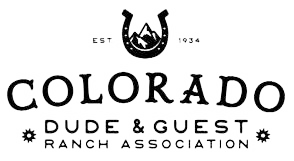 For over 70 years the Colorado Dude and Guest Ranch Association has maintained specific qualification for membership. We also require our members to maintain a horse program that adheres to our strict, high standards. Each ranch is regularly inspected for compliance to these qualifications and standards. We also check for cleanliness, appropriately maintained facilities, hospitality, and honest representation in each ranch’s promotional messages. Each member ranch strives to meet or exceed your expectations.